You know that awkward stage where the ugly little fledgling bird starts to spread its wings and becomes a more confident version of itself? I'm feeling a bit like that at the moment, as the barebones version of my new website is on its way to being fully redesigned and functional for Elliebelly Yarn's January 2017 reopening. One side effect is that my blog is in limbo as I learn to blog directly through the new site. I haven't yet figured out exactly how we integrate the blog, which has been hosted on Typepad for over a decade now, into the new site. What does that mean for you, Dear Reader? With the exception of today's post, which is "navigational" in nature, the blog should look the same whether you come here to Typepad or go directly to www.elliebelly.com/blog to read it. The Blog has now been moved to the www.elliebelly.com/blog I'm sad to be saying good bye to Typepad, which is a great platform for blogging, but no fears, I'll be keeping all of the old posts here so you won't have any issues with bookmarks and such. All new posts, everything from December 22, 2016, will be on the new site. Please do let me know, through either the comments or the contact form on the website, if you experience any issues. And, in the meantime, I hope you'll enjoy this video, which gives you a glimpse of some of what will be on the new site, along with all of the knitting and dyeing that has been going on ahead of the reopening. Have you run across Indie Untangled? It's Lisa Chamoff's brilliant effort to help you find indie yarn and knitting related swag and I've been relying on it to keep up to date on yarn-world happenings ever since I found it. Lisa noticed that I was getting ready to reopen Elliebelly in January and was nice enough to ask if I wanted to be part of her holiday giveaway this year. You can find the details here. She has some great yarn & swag in the works for you! In non-knitting news, this happened in my house yesterday. Total and utter madness will ensue. I've got a lot to do today. And, I shouldn't. I really shouldn't be plotting a new knit. But this Cashmere is calling me. It's Elliebelly Coventry Cashmere. The colorway is Lady Mary and its calling to me like a siren's song. Resistance is futile. I'm going to try and get a little work done, but then I'll be back with the project I'm plotting for this irresistible yarn. I am knit, knit, knitting away on a cashmere scarf. The yarn is Plucky Cachet in Dreamy, and it is my second favorite yarn, only because Plucky's newest cashmere, Groovy, a felted cashmere yarn, became an immediate favorite when I knit this hat a couple of weeks ago. The truth is, I love them both. I have a thing for pure cashmere. And Cachet, which is somewhere between a worsted and aran weight is a really wonderful yarn to knit with. So wonderful that I don't mind the endless knit, knit, knit (because this entire pattern is in garter stitch) that will produce a wonderful scarf, based on a shop pattern at my local yarn store In The Making, when I'm finished. I'm a little bit obsessed with Amy Miller's new mini-sock patterns, and have been working on a pair of Jimmies in between other projects. Because knitting Jimmies made me even more obsessed with the other three mini-sock patterns, I sent off yarn to Ravelry knitter, Mommajnine, for a pair of It's A Gansey, another of the patterns in the set. Ganseys are sweaters with distinctive local patterning, which this sock pattern mimics, and to kick up up just a bit, I sent four different colors of yarn to use for the sock, rather than knitting it as a solid. The yarn is Elliebelly Blue Faced Leicester (BFL) Constant, dyed in Dear Theodosia (Green), Muslin (Neutral), Lady Mary (Blue), and Lost Coast (Salmon Pink). Janine, who is the most amazing of sock knitters, turned the yarn into a pair of It's a Ganseys, quicker than I can turn the heel on a sock! Here they are in all of their loveliness. I adore how she aligned the colors. I'm enjoying knitting my Jimmies and encourage you to pick up some sock yarn and knit a pair of Amy's socks. 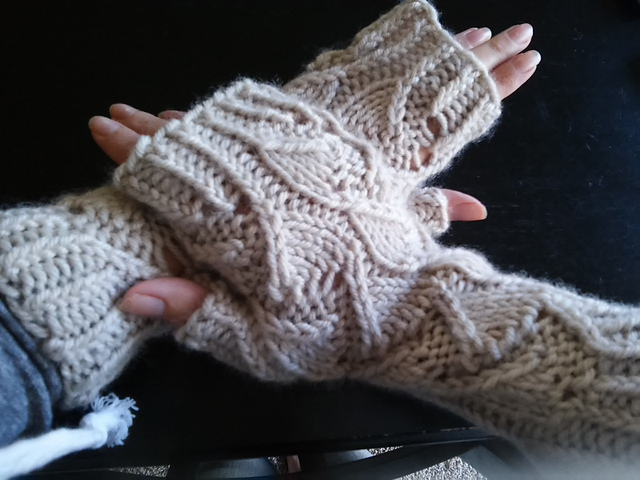 They are the perfect quick little knit to make sure that you don't forget yourself in the middle of holiday knitting for friends and family.